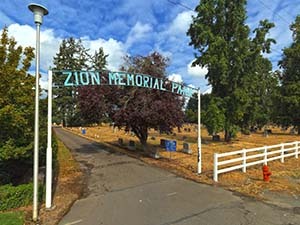 Zion Memorial Cemetery is owned and operated by the City of Canby. Zion Memorial Cemetery was organized by the Zion Cemetery Association in January of 1897. The first burial was that of Christian Wintermantel, the individual who originally proposed the cemetery on January 19, 1897. 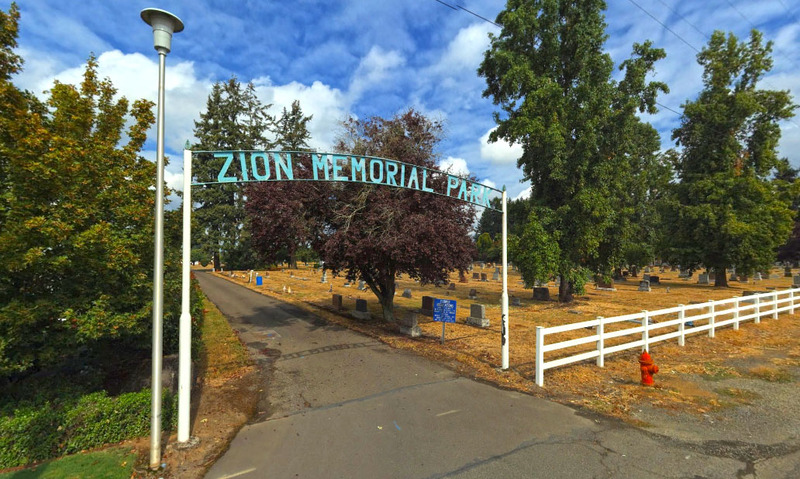 The Canby Evangelical United Brethren Church owned the cemetery until it became too labor-intensive to maintain, and the City accepted ownership and maintenance of Zion Memorial Cemetery in 1937. Rules and regulations were adopted on January 10, 1938 and it has remained in City hands since that time. A fire destroyed some of the paperwork and over the years, the City has reconstructed the records. 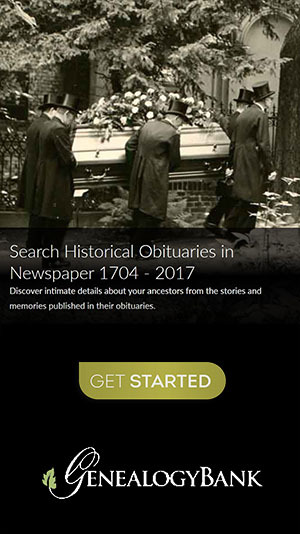 Records published here were acquired from the City of Oregon City on November 10, 2017. They are current for burials up through May 2016.